From the Tölzer Knabenchor as a boy alto to singing as a soloist at major concert halls, festivals and opera houses, German baritone Christian Immler has spent many years making and recording music of the highest quality all around the world. Having studied with Rudolf Piernay, Christian won the International Nadia et Lili Boulanger Competition in Paris in 2001, launching his baritone career. Although well known for singing Handel, Haydn, Mozart and, increasingly, Mahler, running down the spine of Christian’s career has been the music of J S Bach. Having sung the B minor Mass, St John Passion and St Matthew Passion with Marc Minkowski, he has also performed these works with Philippe Herreweghe, Daniel Harding, Andrew Parrott, Masaaki Suzuki, Michel Corboz, Jos van Veldhoven, Leonardo García Alarcón and Ensemble Pygmalion. Christian’s musical interests and talents are very broad. Recent projects have included Handel’s Dixit Dominus with Concentus Musicus and Ivor Bolton, Krenek’s Orpheus with Lothar Zagrosek, Mozart’s C minor Mass with Giovanni Antonini (Salzburg Festival), C. P. E. Bach’s Magnificat with Ottavio Dantone, Weill’s Berliner Requiem (Lucerne Festival) and Mahler Songs with the Ensemble Symphonique de Neuchâtel. Alongside his concert work, Christian’s operatic career has been flourishing. His most recent roles were Docteur Itard/Vicaire in the world premiere of Fénelon’s JJR (directed by Robert Carsen) at Geneva Opera and Seneca in Monteverdi’s Poppea at the Boston Early Music Festival. He further performed at Opéra Comique, Wiener Kammeroper, New Israeli Opera and Teatro Colón (conducted by William Christie). As a recitalist, Christian has been hailed as one of the foremost Lieder singers of his generation, applauded for his particular interest in 20th Century ‘Emigré Composers’. He has appeared in leading recital venues, such as the Wigmore Hall, the Royal Festival Hall, the Frick Collection in New York and the Salzburg Mozarteum, the latter with pianist Helmut Deutsch. 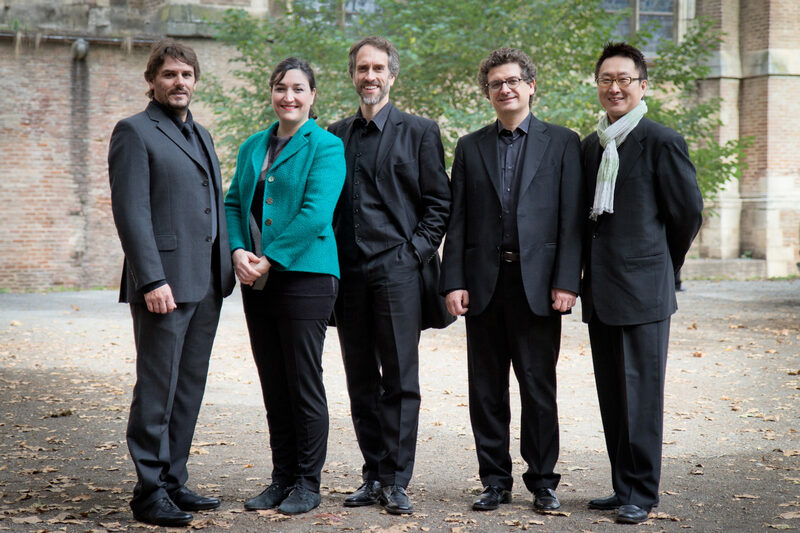 Their CD Modern Times was recently awarded both the ‘Diamant d’Opéra’ and the prestigious ‘Diapason Découverte’. Christian is Professor of Voice at the Conservatoire in Lausanne/Fribourg.